The seventh and final studio album by Florida's death metal pioneers Death threatens to catch fire on a few occasions, but ignites just once. To Forgive Is To Suffer arrives late in The Sound Of Perseverance songlist, and ties up all the loose ends with a harrowing melody that serves as the theme for the next black night of evil, riffs pregnant with menace to harm most painfully. At under six minutes, To Forgive Is To Suffer is among the shorter tracks on the album, and more of the selections could have benefited from trimming. Spirit Crusher stretches itself to almost seven minutes, but would have been sharper with a couple of minutes lopped off. An awkward start and a meandering middle section dilute some terrific power and fury. 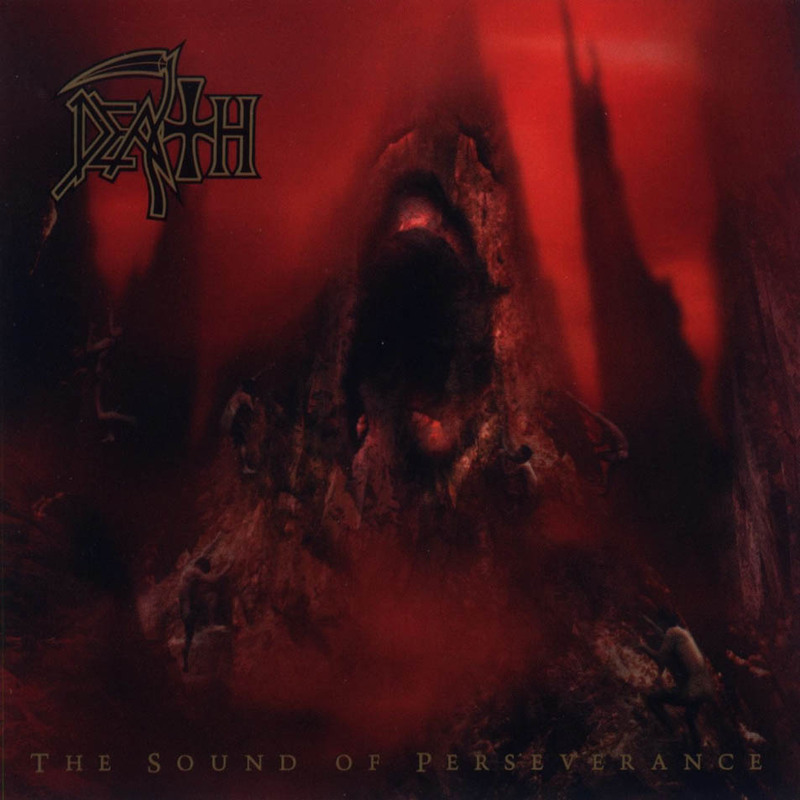 Similarly Flesh And The Power It Holds (8+ minutes) and Moment Of Clarity (7+) include catchy segments featuring the assured guitar work of Chuck Schuldiner and Shannon Hamm, but suffer from not insignificant stretches of wilderness. The bonus track cover of Judas Priests' Painkiller does everything right and adds a soulfully interesting wrinkle to one of the solos, Death paying tribute to one of metal's transformational tracks. After The Sound Of Perseverance band founder and main influence Schuldiner suspended Death and evolved his sound under the name Control Denied, but he soon passed away from brain cancer at the end of 2001. The Sound Of Perseverance may not be a masterpiece, but it's a good testimonial to Schuldiner's essential contribution to metal. Produced by Jim Morris and Chuck Schuldiner. Engineered, Mixed and Mastered by Jim Morris.